Plant of the month. 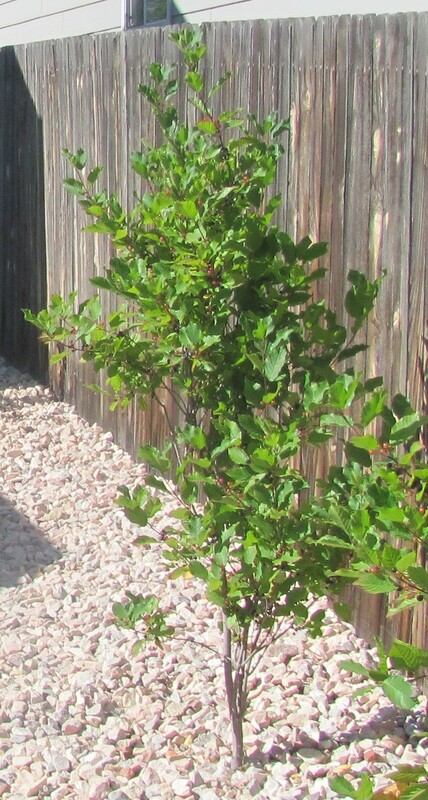 May 2014: Fineline and Tallhedge Buckthorn – Glacier View Landscape and Design, Inc.
May Day…May Day! Plants down due to high winds! The Front Range of Colorado has been shrouded in North winds for almost a week now. Nevertheless, planting season is in full swing for Glacier View and one of my favorite shrubs for those tight spots, back yard privacy, or grand entrances to formal hedged walkways are the two columnar buckthorns…. Frangula alnus Fine Line or Fineline Buckthorn, and Frangula alnus Columnaris or Tall Hedge Buckthorn. First, the Tall Hedge. 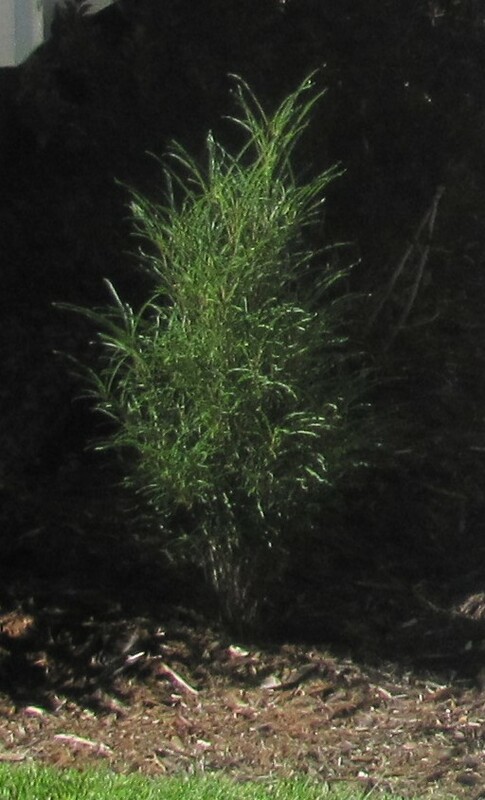 It has shiny dark green ovate oblong leaves, growing in a twisted upright form. The branches will twist as they grow skyward giving each branch a corkscrew appearance. There are tiny clusters of white, mostly insignificant flowers in late spring, leading to the production of red pea sized berries in the summer that turn a dark blue to black in the fall. All parts of the Buckthorn are poisonous, though it won’t kill you….just make you sick. And they probably taste horrible, though I have not personally tested them! These Buckthorn grow rather quickly in full sun to part shade with moderate watering, though if planted in the heat of summer, care is needed in the first week to see that they do not dry out as leaves will be lost quickly. They will reach 12-15’ or higher, but stay within about 4-6’ wide. Wayward branches are easily pruned. Plant on the corner of a home for interest and framing, or use in 3’s or 5’s in a staggered line along a fence for privacy. Secondly, the Fineline. This one is a fine specimen as it has serrated feather-like leaves that grow quite dense on a short stiff branch before branching again. It’s habit is also columnar, though it is narrower and shorter than the Tall Hedge. Water and sun requirements are the same as Tall Hedge. I have seen specimens at 8’ tall and 3’ wide. Seven, in varying sizes adorn my property and I love them for their soft look. I use them on both sides of the entrances to gates and walkways or to frame large windows. They have a stately appearance, and hold up well to snow loading. They will bend, but not break, and return to their original upright selves quickly. This one is a show stopper in my book. Look them up, and try some in your gardens! I think you will like them. We’re proud to serve communities near Superior, Colorado with our landscape design & installation services.